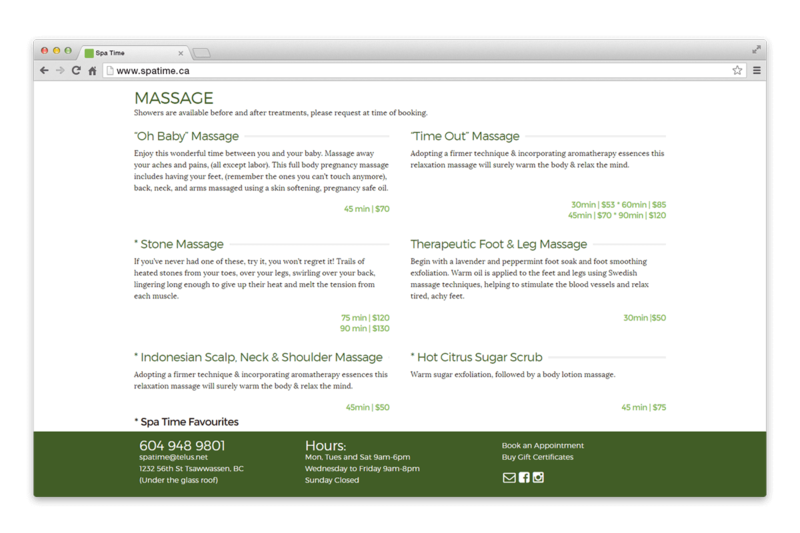 Spa Time | NetClimber Web Design Inc.
Spa Time needed a complete website redesign. Their former website was both dated and not responsive. They wanted a fresh look to compete in their business and show well on smartphones and tablets. They wanted to look as professional as they are through the use of high-quality imagery and clean typography. A key feature that Spa Time needed was a way of handling their features that changed every month. It was important that this was easy to manage so that the site was kept up to date. They also wanted to promote their numerous packages and services offered by their skilled and experienced staff. 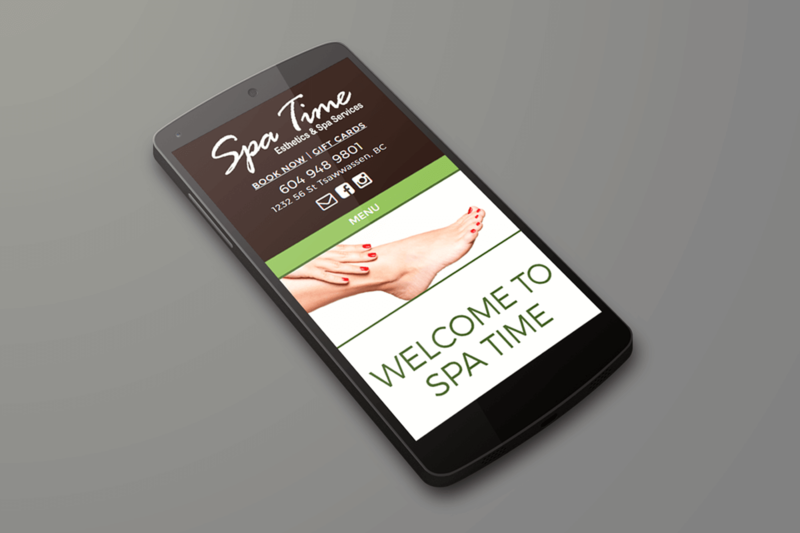 Spa Time also wanted to be able to increase their client network by expanding their newsletter subscription list. This was done by adding a Newsletter Subscription Form that was linked to their MailChimp account. When a client signs up for their newsletter online, the email address is automatically added to a MailChimp newsletter address list. This way, clients stay in the loop for features and seasonal specials and the administration time is minimal. 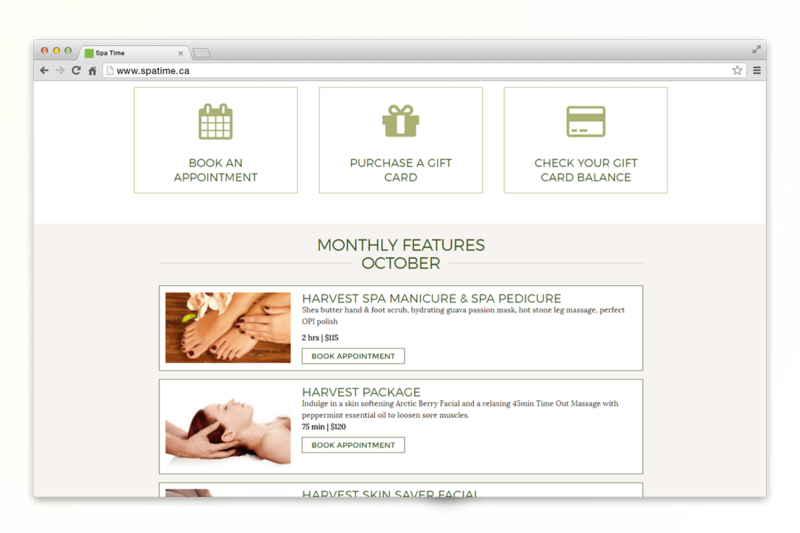 Another item that was unique to the Spa Time website was the ability to facilitate Gift Cards. It was important that these were available for clients to order and then pay and pick up in-store. This was handled by an order form with extra directions on confirmation. Clients were also given a way of checking a Gift Card balance onsite. A second form was added to handle booking an appointment online. 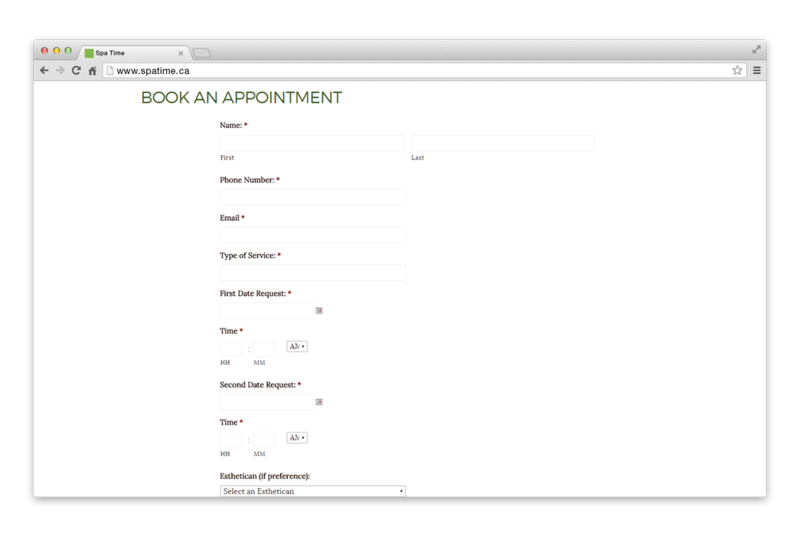 With a date picker and list of Estheticians, clients have great options for requesting appointments. A simple Contact Form is also available for general inquiries. 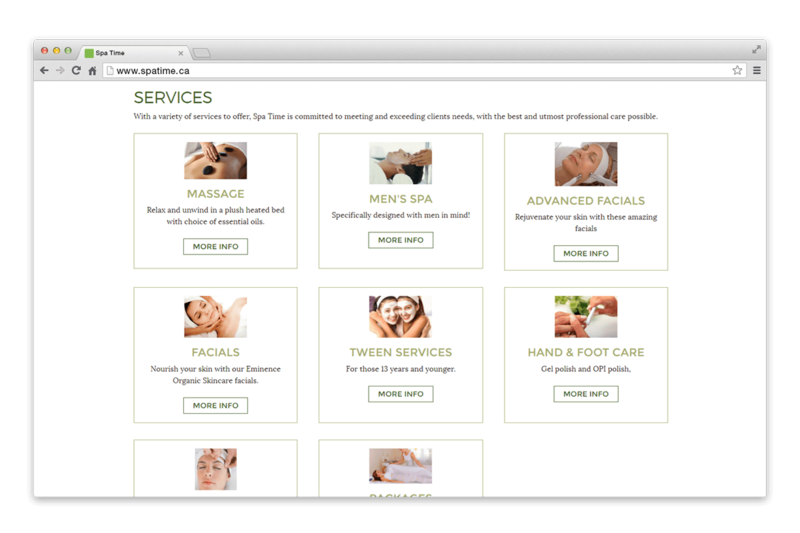 The overal site design is fresh and inviting, very clean and user friendly…maybe it’s time to book that Spa Time.